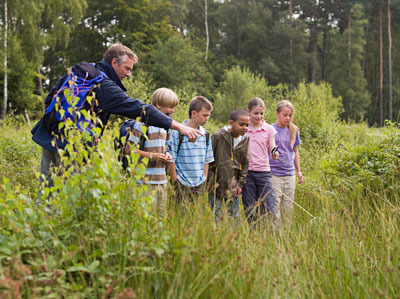 Resources to Get Kids Outdoors! Children’s Outdoor Bill of Rights – A list on the California State Parks website, with 10 activities that children should have the opportunity to experience before they enter high school. Last Child in the Woods – Richard Louv sparked a national debate that spawned an international movement to reconnect kids and nature. He coined the term nature-deficit disorder; influenced national policy; and helped inspire campaigns in over eighty cities, states, and provinces throughout North America. Children’s National Forest – Along with recreation opportunities, Children’s Forest hosts a Visitor Information Center, an Environmental Education Program, and a Youth Leadership Volunteer Program, and an active reforestation program. Children’s Forest is a place where children learn how to become stewards of the land through education and opportunities.